Located in the heart of Santa Monica on the famous 3rd Street Promenade, a pedestrian street with stores, restaurants, cinemas and clubs. Santa Monica gives students easy access to the beach, Los Angeles, Malibu and Beverly Hills. 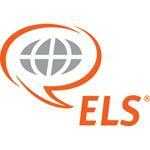 More than 550 U.S. universities, colleges and career schools (including West Los Angeles College) recognize completion of the ELS Intensive English program as satisfaction of their English language admissions requirement, in place of the TOEFL or other exam. The ELS Language Centers University Placement Service can also help students secure placement in a U.S. university, college or career school before they leave home. The center also provides college placement assistance to currently enrolled students.